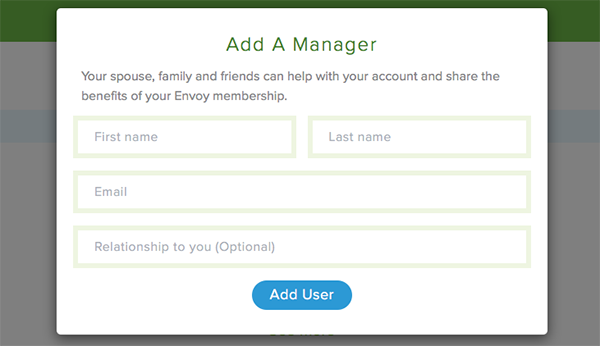 Whether you’re using your Envoy Family Concierge Membership to help care for an elder loved one or using it to find balance in your own life, it’s important to make sure that key members of your family are in the loop. 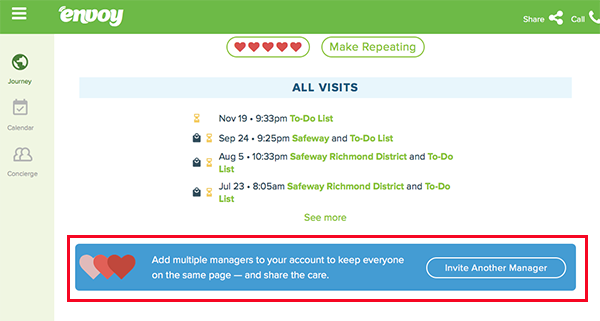 Adding your spouse, siblings, and relatives or friends as account managers is easy and free. As account managers they’ll be able to reserve visits, build lists, leave feedback and use the Envoy Concierge Desk. The new manager will receive an email prompting them to create a password and they’ll be all set.